My real-life friends have almost stopped inquiring when I’m posting a new recipe, although I’m still running into acquaintances who ask, “Aren’t you doing some kind of food blog thing? How is it going?” To which I sheepishly mumble something vaguely coherent while averting eye contact. Even though I haven’t posted anything since… well, let’s not get into details, there has actually been a bit of behind-the-scenes action on the site. First of all, this recipe got featured in a BuzzFeed post that went viral. Which translated into visitors finding this Freezer Bag Slow Cooker guide. And buying it. It is soooo thrilling to see people respond to my first e-book project. 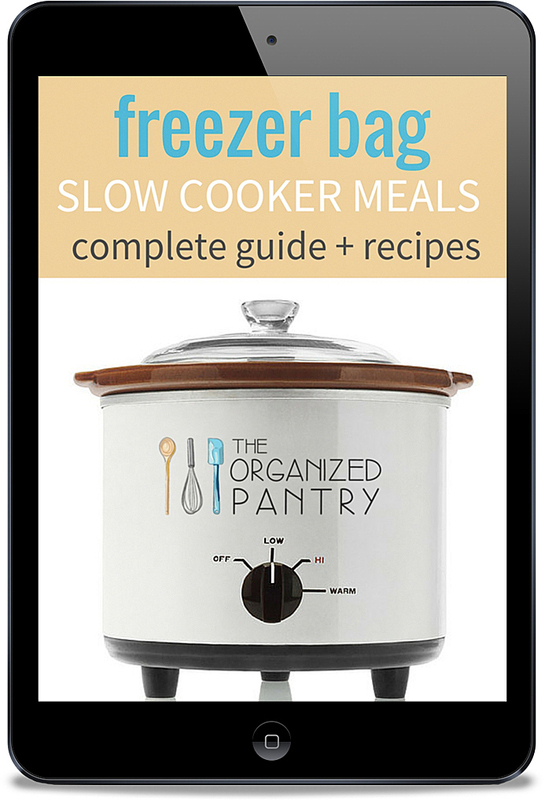 If you have downloaded a copy of the Freezer Bag Slow Cooker guide (it’s free if you want! ), you will be receiving an e-mail in the next few weeks with a link to a revised edition. In my enthusiasm to publish my first e-book, I overlooked some errors and omissions. I want you all to have the best guide possible, so I’ll be sending you a corrected copy. The response to my first e-book was so overwhelmingly positive that I decided to write a second one. (I promise I proofread this one better.) I carefully reviewed readers’ feedback and analyzed which posts were most popular. It became clear that a lot of readers were coming to my site for specific and practical advice on how to eat clean while working the night shift. 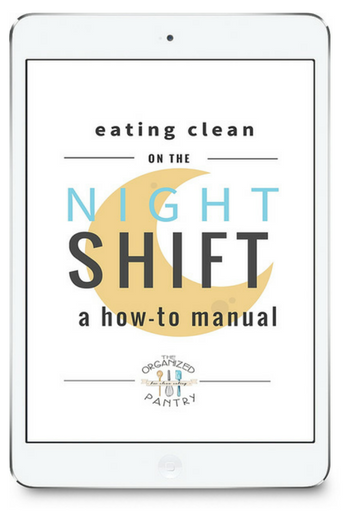 In response, I released Eating Clean on the Night Shift: A How-to Manual. You can read more about it here. So what to expect going forward? I have a lot of recipes I’m eager to share with you. A lot of them are old family favourites- the kind that friends ask for because it’s that kind of classic, feel-good recipe that you need to have in your collection. 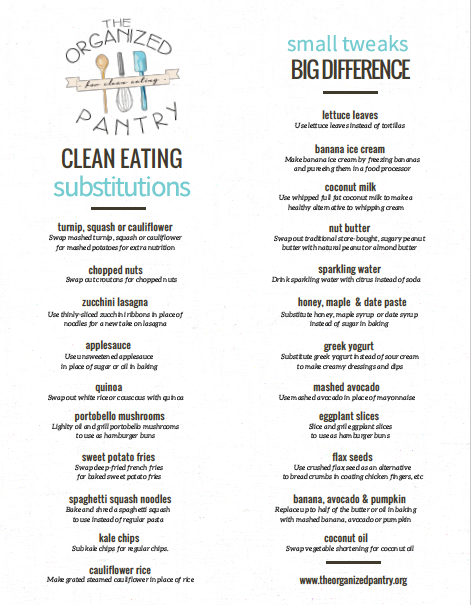 My focus will be on approachable, appealing recipes that make clean eating tasty and simple. I will also be working on producing more practical e-book guides. BIG ANNOUNCEMENT: I will be implementing an exciting change in the format of my recipes. All of my new recipes will be triple-tested before appearing on the blog. This means each new recipe will be made at least THREE times (by myself and two other cooks for a total of three DIFFERENT people) before being released. I feel very passionately about this changeover to triple-tested recipes. One of my biggest beefs with food blogs is how often the recipe results end up being disappointing. This problem can be even worse with clean eating blogs because the ingredients are often more expensive and can be a bit trickier to use. I hate spending good money on expensive ingredients like almond flour or honey, only to have the recipe flop. I’m betting you do too. It occurred to me that recipes destined for printed cookbooks likely go through much more rigorous testing than many of the recipes found on food blogs. I reflected on Canadian Living’s Test Kitchen policy of triple-testing recipes before publication. How do I want my blog to be different than others? What makes my blog’s voice unique? What do I want my blog to be known for? There are already so many clean eating food blogs with innovative recipes, mouth-wateringly good food photography and great writing. Many of these food blogs post multiple new recipes each week along with spectacular photos and even videos, all while interacting on multiple social media platforms. How could I possibly contribute in a meaningful way when others are already doing it so well? I have decided that I want my blog to be all about the recipes. For me, it is the most important part of a food blog. So I will be focusing on delivering the highest quality recipes possible for you. I want my recipes to work for you the first time, every time. I want you to be able to source the ingredients easily. I want you to feel confident while making it that you’ve hit all the right steps. And most of all, I want you to really like the result. I will be posting fewer recipes of higher quality. There will be simple photos of each recipe, but I won’t be staging elaborate shots or creating videos. I am still working out social media outlets (the struggle is real for me with social media). I will keep you updated. I am opting to pour my food blogging energy into quality recipe development and e-book guide writing. I am so grateful for your patience as I sort out the work process. While you await my next recipe post, could you do me a favour and give my new e-book a mention on Facebook? Or post it to one of your Pinterest boards? I would be SO grateful for your help in getting the word out. Welcome back Lauren. You make a really good point about the need to really test recipes before they are blog-worthy – especially those that require expensive ingredients. Looking forwards to seeing some triple-tested delicious-ness from your blog! Sounds like exciting new developments for you which will result in wonderful information for us. Yayyyyyy! !